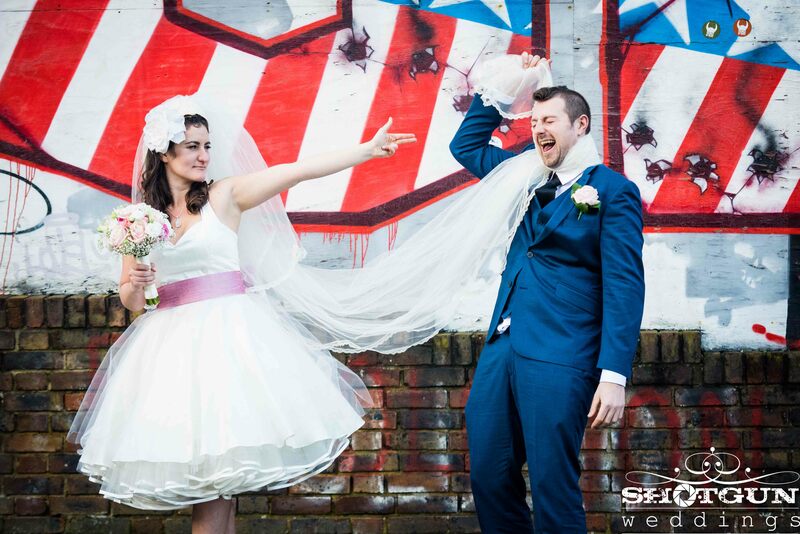 Frankie loves Joe – one badass Brighton couple … Happy anniversary guys! There was once Bonnie & Clyde – then there was Frankie & Joe. …throw some close friends & family into the mix, along with the promise of a lifelong commitment & you have yourself the perfect passionate ‘we-did-it-our-way’ rendezvous ..! Oh & also add tonnes of fun, jokes & laughter mixed with The Darkness blaring full blast from the stereo & not forgetting plenty of fags & fizzzz! Frankie & Joe = True partners in crime in every sense. Thank you F&J for allowing me the honour, experience, fun & memories of capturing your EPIC day ! p.s can we do it AGAIN? I mean 4 weddings isn’t tooo much to ask is it?? Wow what an amazing portrait. 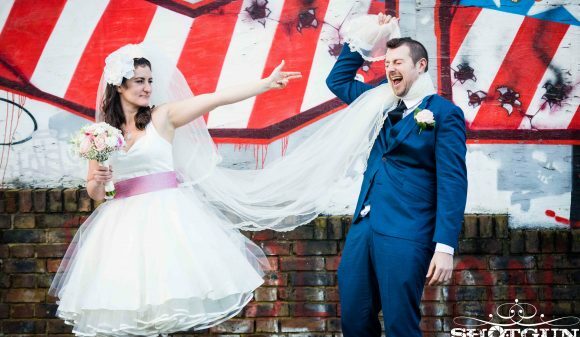 ← Guy makes an honest woman of a Supergalactic Sinead!